Built in 1993, this is Salvi's largest lever harp that is a great pre-pedal harp. The harp has a few scratches but overall is in good shape, although it has been breaking strings a lot. Owner is downsizing to something more portable. I am listing this for a friend, so for more information or to arrange to try the harp, message me and I will connect you with the harp's owner. 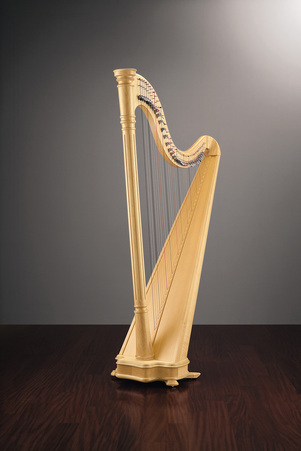 Picture is of the model, not of this exact harp.